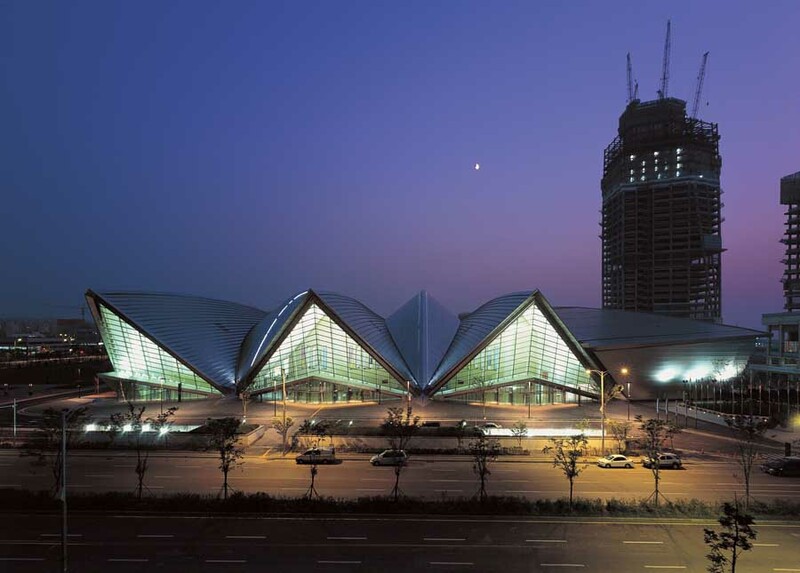 Convention Center is the first project completed in Songdo IBD and opened for business on October 7, 2008. Its innovative design by KPF and Baum elicits thoughts of the Sydney Opera House and is already a landmark structure in Korea. The main exhibition hall has one of the largest column-free spans in Asia. Convensia lounge, business center, tourist information (English, Japanese), outdoor grass plaza, cafeteria, post office, convenience store, bank, coffee shop, etc. Incheon Univ. Station (Incheon Subway Line 1), Exit 4. – Go straight 650m and turn right at the Sheraton Incheon Hotel. 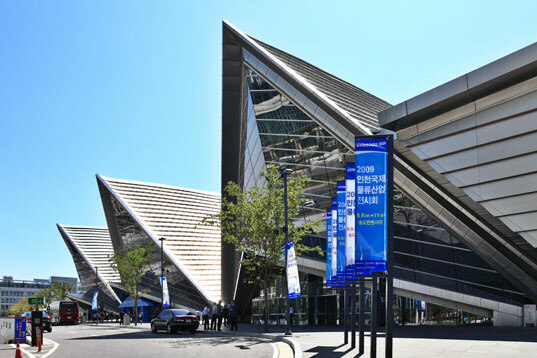 – Songdo Convensia is located next to the Sheraton Incheon Hotel. From Incheon International Airport, take Limousine Bus 6707. – Get off at Sheraton Incheon Hotel. This entry was posted in Spot and tagged Convensia, Incheon, Korea, Korea trip, Korean, Songdo, south korea, trip.